Voted for: As a noncitizen, he could not vote. Fears for 2017: That he and his family could be deported. WYOMING — Wilfredo Diaz bought a house in suburban Grand Rapids a few months ago after landing a modest job. 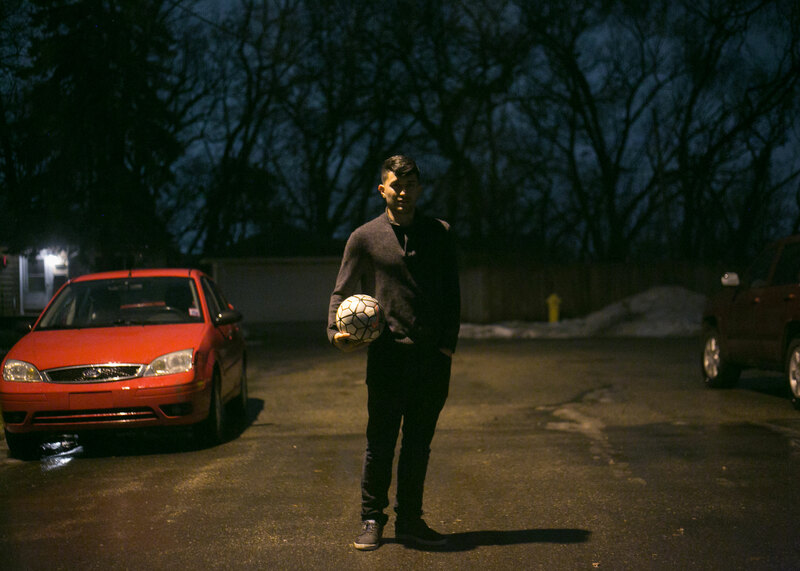 He dreamed of playing big-league soccer and becoming a citizen in the country he’s called home for most of his 22 years. All of that could disappear, he fears, with Donald Trump as president. Diaz is among more than 700,000 American Dreamers brought here as children by undocumented parents. In 2012 President Obama granted them a reprieve from deportation by signing an executive order. Trump has vowed to overturn the order. He spent his first nine years in Guatemala, in a mud-brick house with a dirt floor. The toilet was a hole in the ground, they carried water from a nearby river, and sustenance came from the soil. When he was 5, his mother entered the United States illegally. When he was 9, she sent for him and his kid brother. In Grand Rapids, he enrolled in school, but remained in the shadows until Obama took action, which allowed him to obtain a work permit, begin paying taxes and feel more like an American. Now, he worries that he, his mother and brother will be sent back. And what about his younger sister, a U.S. citizen who was born here? He wants to stay, he said, marry his girlfriend and become a citizen.